A job requires steel-toe boots for safety. 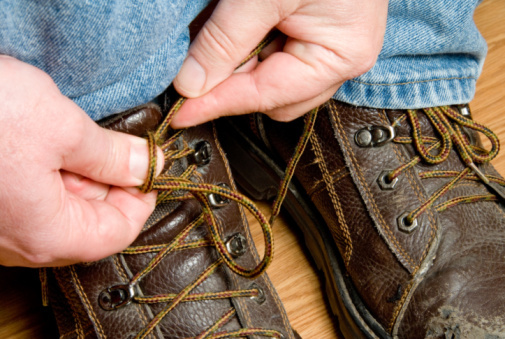 An injured worker can’t wear traditional steel-toe boots. What is a company supposed to do? James Sharbono was injured by an electric shock on a jobsite. He suffered damage to his left foot that required amputation of several toes and surgical reconstruction of the foot. After rehabilitation, Sharbono returned to work as a journeyman lineman at Northern States Power Company. The job required steel-toe boots. But the boots Sharbono tried hurt his left foot. Northern States worked with a specialist who, at first, said it would be possible to fabricate a steel-toe boot that wouldn’t hurt Sharbono’s foot. After further examination, the specialist changed his opinion and said it wouldn’t be possible to make a steel-toe boot that Sharbono could wear without pain. Northern States retired Sharbono with benefits. He sued the company, alleging it failed to accommodate his disability in violation of the Americans with Disabilities Act (ADA). Sharbono said, although the company tried to find him a boot that would both meet safety requirements and his disability, the employer gave up too easily. The company sought to have his lawsuit thrown out. Recently, the Eighth Circuit Court of Appeals heard his case, and agreed with a trial court’s decision that Northern States acted in good faith in its efforts to accommodate his disability. The Eighth Circuit threw out Sharbono’s lawsuit. The court said after the specialist informed Northern States it wasn’t possible to make a boot that met Sharbono’s needs and qualified as a steel-toe boot, it was reasonable for the company to discontinue its efforts. The judges said Northern States had engaged in the interactive process with Sharbono as required by the ADA, and had done so in good faith.